In June of 2018, my painting 'Rainy Night Near Macy's' was juried into the Mid-Atlantic Regional Watercolor Exhibition, at the Black Rock center in Germantown MD. 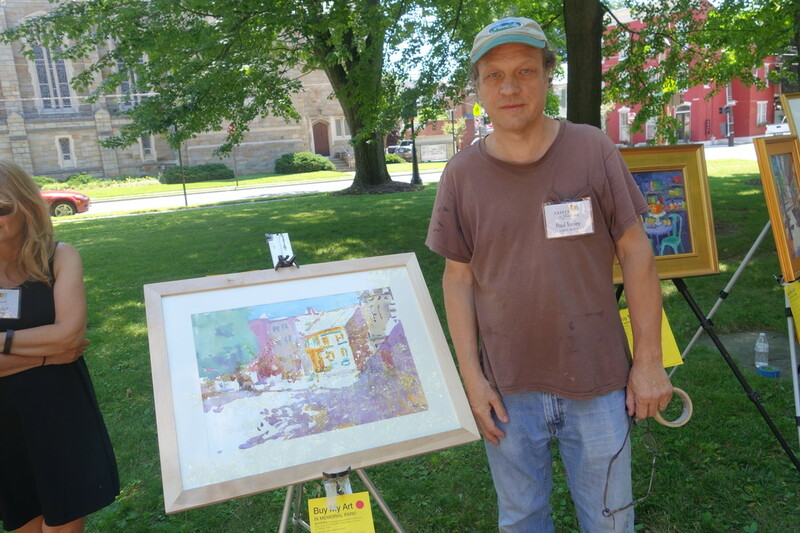 I was selected to be the Featured Artist by the Downtown Frederick Partnership for First Saturday, September 5, 2015 and painted at the corner of Church and Market Sts. in downtown Frederick that afternoon. A show of paintings from all the featured artists for the year is scheduled for June 2016. 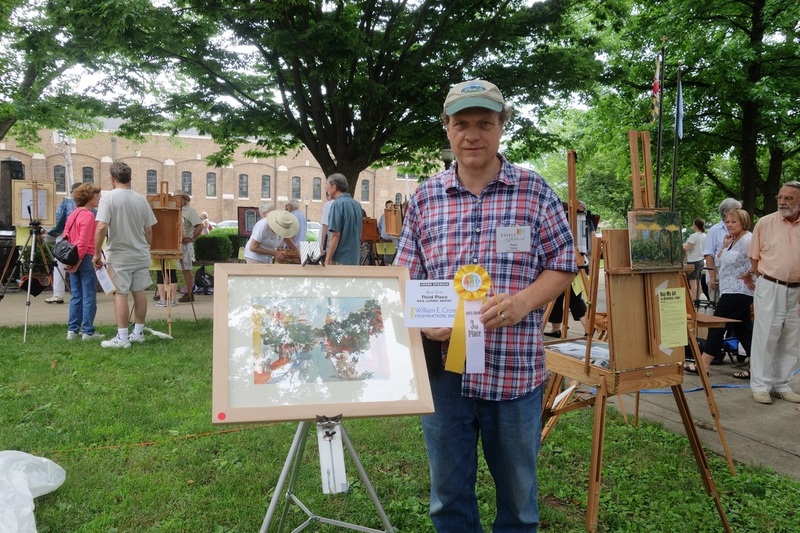 I won third place for non-juried artists at the Quick Draw at Easels in Frederick in June 2015. 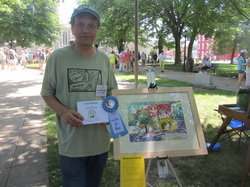 I received the 'Local Color' award ($250), in honor of watercolor artist Linda Postelle, at the plein air event 'Easels in Frederick', June 21, 2014. Juror Anne Blair Brown is pictured at far left. 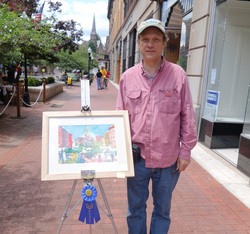 ﻿My painting of downtown Cumberland won first place in the Quick Draw (community division) at the Mountain Maryland Plein Air event in Cumberland, MD on May 31, 2014. Behind me is the scene that I painted. 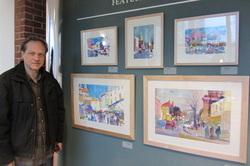 My painting was hung in the Saville Gallery for the final exhibition of all the juried plein air painters' work later that day. 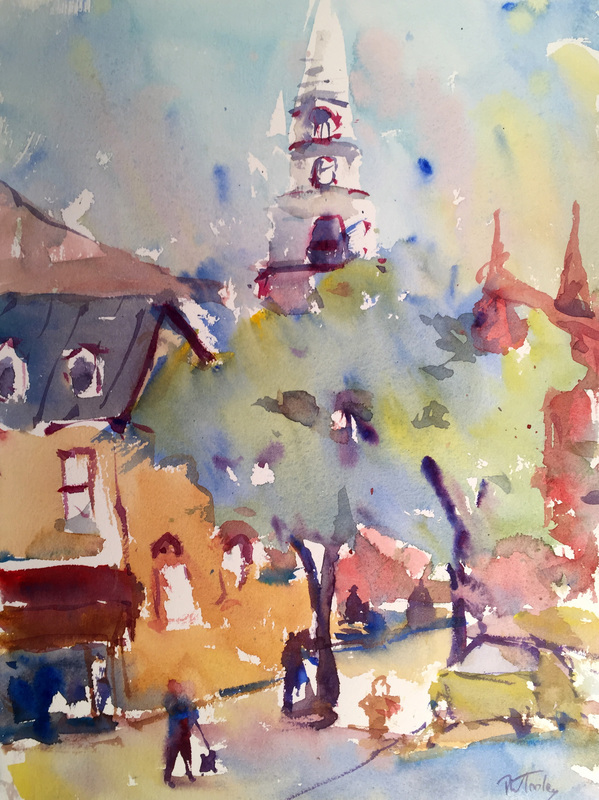 I was selected as 'Featured Artist' at the Delaplaine Art Center in Frederick, MD for the months of May and June, 2014. 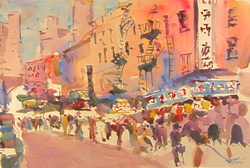 I have 7 paintings hanging in the entrance hall, and also have work in the gift shop.